Our personal injury practice consists primarily of catastrophic and near catastrophic claims arising from motor vehicle, slip and fall and other serious accidents. 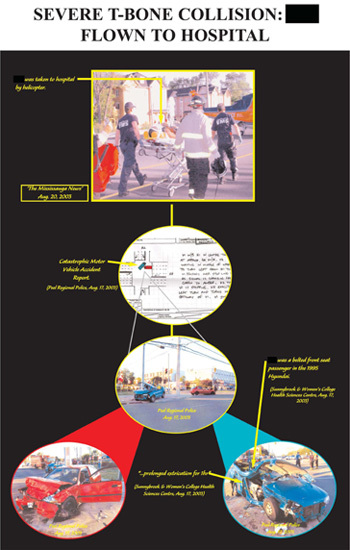 You can see a sample of our Demonstrative Advocacy work arising from a MVA here. See Plaintiff's Book of Demonstrative Evidence. You can also read a short story on our strategy on Personal Injury Litigation: "The Adventures of The Wolf, The Judge and The Pig". If you have suffered a serious injury due to an accident please call us at 905-770-4942.